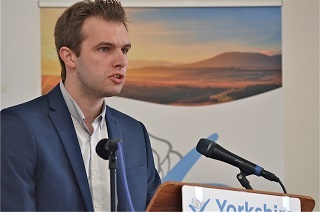 Yorkshire Party Leader Stewart Arnold has stepped down after three years at the helm. The Party’s Executive Committee said it wished Stewart well and thanked him for his service. The Executive Committee has appointed Deputy Leader Chris Whitwood as the Party’s new Leader, with Executive Committee member Laura Walker taking on the role of Deputy Leader. It said that a Leadership election would be arranged for later this year, when all Party members would have the chance to elect the party Leader. The Executive Commttee said: “For now, our focus is squarely on May’s local elections. With a record number of candidates, this year’s elections look set to be the Party’s best ever, and we encourage all Yorkshire Party members and supporters to get out there and campaign for candidates across our region.